A skillfully designed master planned community, ideally located within walking distance of Centerra's Promonade Shops and cultural hub, features The Lake Club Recreation Center with outdoor pool, boat dock on Houts Reservoir, and a soon to be completed Pre K-8 elementary school. Our exciting Park Collection, starting in the $300’s, reveals the best in new home design and energy efficiency. 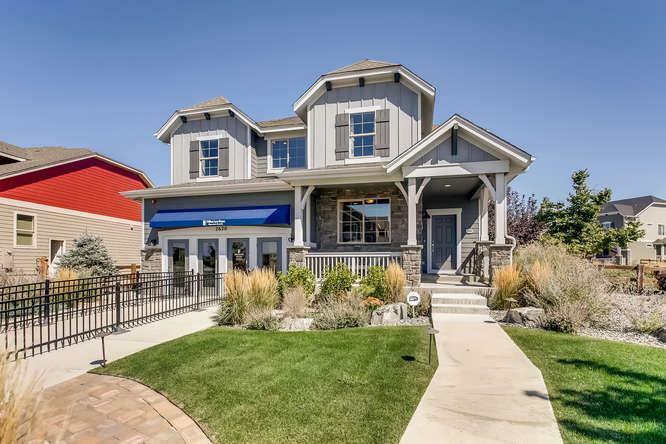 The homes are nestled between two large community parks, a series of seven intimate neighborhood parks, and an extensive trail system that winds through a natural corridor of pristine beauty.